Lab Supply is proud to provide a number of top quality enrichment products for animal research facilities. Lab Supply offers a wide selection of Bio-Serv products for animal nutrition. The products are a great supplement for canines and can also work as a complete diet for mice, rats, and other rodents. Bacon Softies from Bio-Serv have a great bacon taste to stimulate the appetite. They are a great diet for animals that are recovering or weaning. 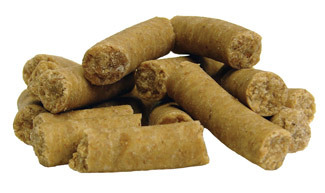 If you would like more information on Bio-Serv’s Bacon Softies, then please click here to view the product page. Here at Lab Supply, we are committed to making sure you find exactly what you need. If you have any questions about this great product from Bio-Serv, then please click here to visit our contact page. We will be more than happy to answer any questions you may have.